1. More responsibility: Since these companies are smaller, they lack the bureaucratic red tape that prevents interns from doing meaningful work. These companies are often competing against larger companies with 10% of the workforce. This translates to more meaningful work for interns. 2. More diversity: For many of the same reasons mentioned earlier, employees for these companies wear multiple hats. They have to coordinate events, answer customer calls, process orders, and manage key strategic initiatives. Since they work across different divisions, interns are more likely to do the same. Therefore, they will not be siloed into just one role or with just one task for their entire internships. Interns will likely get the opportunity to work across many different areas. 3. Better culture: Typically, smaller firms have better cultures and camaraderie. Because they are smaller, they tend to focus more on hiring people who are good culture fits. Hiring one bad egg does a lot more harm to a small organization than it does for a Fortune 500 company. Working for a smaller organization will give interns greater access to potential mentors and friends. 4. Ability to make an impact: Given that many small organizations have so much to accomplish with so few resources, they are often spread thin. In many cases, there have already identified a few valuable projects they just haven’t had the chance to work on yet. This leaves the door wide open for interns to come in and make an impact. Don’t be afraid to go smaller. It can be the catalyst you need to jumpstart your college career. An internship with the right organization can be a game changer. Interested in searching for internships? Check out our blog and follow us on Facebook, LinkedIn, Twitter, and YouTube. Carl Schlotman IV was born and raised in Cincinnati, Ohio. 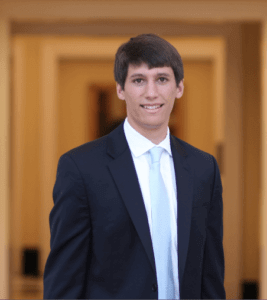 Carl completed six internships in his collegiate career with world-class financial institutions such as: Bank of America, Merrill Lynch, and Goldman Sachs. After gaining experience with his internships and accepting a full-time offer with Wells Fargo Securities in Investment Banking upon graduation, Carl seeks to give back to younger students. He published his first book, Cash in Your Diploma, in April 2014.